Description: You should make it very clear what the invoice is actually billing. This is to make sure that there are no miscommunications between your company and the one you’re billing. There also needs to be information on how much time was spent on the actual rendering of the service. If the customer understands what exactly they are being billed for, there will be less pushback. Discount Details: In case you’re offering discounts, you should make them evident on the invoice so that consumers clearly know whether or not they are currently being used for the service rendered. This is especially true for ensuring that you’re not confusing customers. The last thing they want is to be surprised when an offer is suddenly unavailable in the future. Schedules and Policies: You may have had a deadline for the service rendered to your customers, so it’s only natural that you hold your customers accountable to a deadline for payment. It’s important to place emphasis on consistency for payments made to your organization. 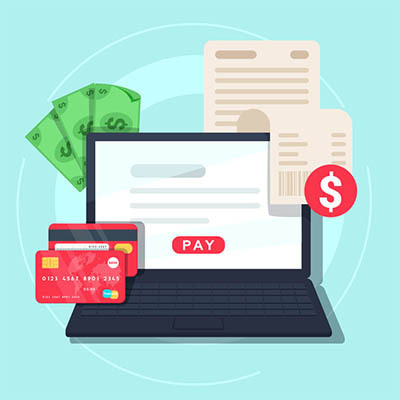 An invoice should also include a comprehensive look at any company policies regarding discounts, late payments, fines, and due dates so your customers have no valid excuse for non-payment. This isn’t all of the important information that you should consider for your invoices, but it’s a good start. Each of these are important enough to outline separately on your invoices, so take some time to fill in all of that blank space with information that you want your customers to be aware of. You can even add in personalized touches depending on who the client is, as well as outline ways that the client can best take advantage of further services that you offer. Everyone likes to hear “Thank you,” so you can also use this opportunity as a way to thank the client for their continued patronage. This kind of friendly gesture helps you build rapport with your clients and expedite the payment process. Unless you want each payment to be late, you’ll want to put some serious thought into how you distribute your invoices, as well as how they look. You should always send them adequately ahead of time so that your clients have enough time to respond to them. There’s no doubt that you’ll have a client who has unpaid invoices that last for much longer than you’d prefer. In fact, it’s estimated that unpaid invoices for small businesses total over $800 billion. If you distribute your invoices in a timely manner, you minimize the risk of them being ignored or not returned in a timely manner. Technology tools are a major benefit to this end. By providing digital invoices, you can increase the odds of a client or customer seeing your invoices. Strata Information Technology can help your business implement technology solutions to expedite the sending and processing of invoices. To learn more, reach out to us at 888.678.7282.